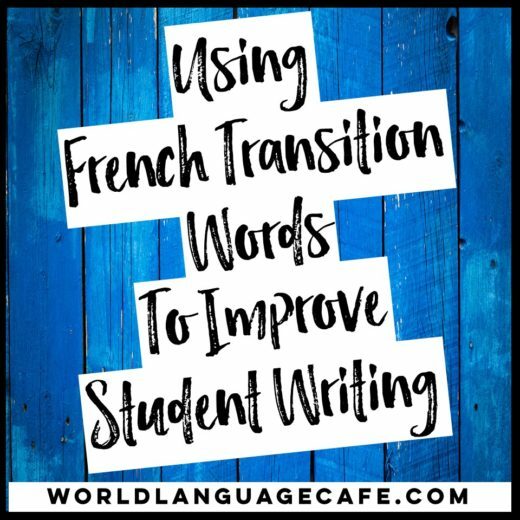 Do your students struggle with verb conjugations and remembering vocab? 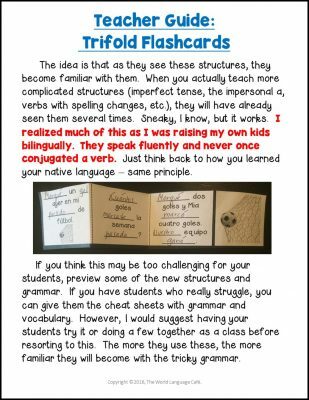 Are they unable to use verbs in a sentence without conjugating the whole thing in their heads? Do they misspell verbs and vocab and misuse common grammar on their quizzes? Guess what? 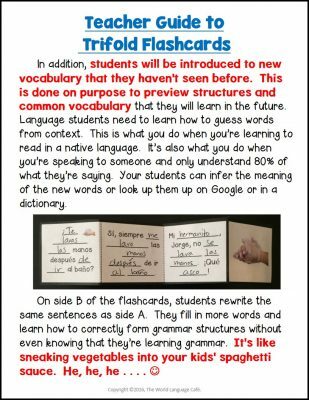 I created a brand new resource called interactive notebook trifold flashcards (INTF’s) to alleviate these problems and I’m giving out free samples in this blog post. 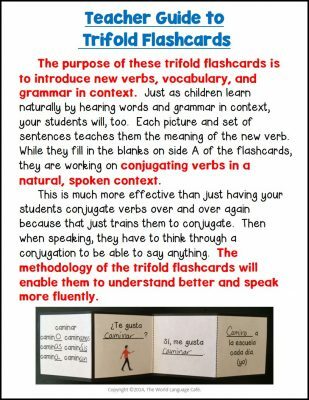 This post shows examples in Spanish, but trifold flashcards are also available in French. 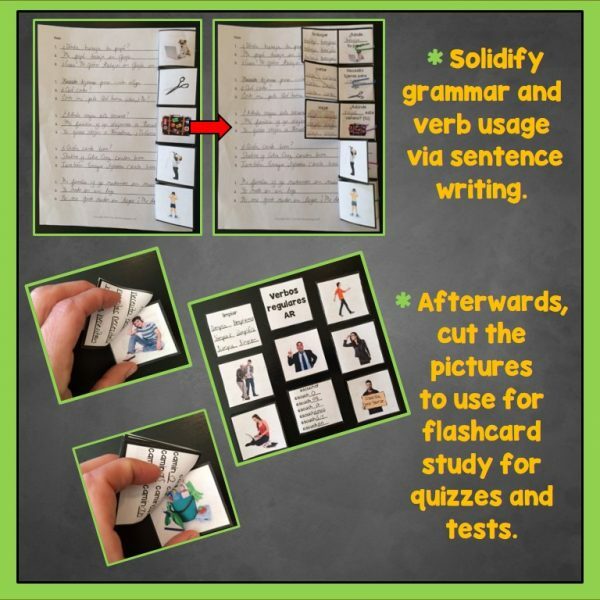 What exactly are interactive notebook trifold flashcards? 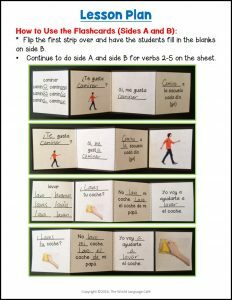 They are strips of paper that are not only flashcards, but also tell a small story using the verb or vocab. Students cut out the strips of paper and fill in sides A and B. Next, students write out the sentences. 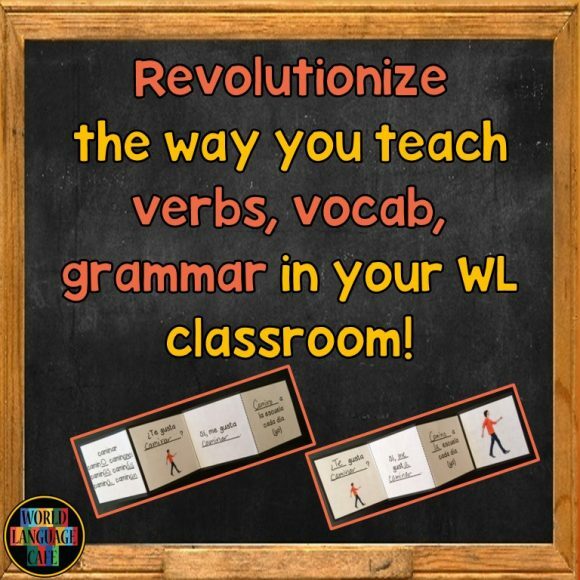 This gets them practicing punctuation, accents, and all of those little tricky words (possessive adjectives, impersonal a, pronouns, etc.). They can then cut off the flashcard part to use to review for quizzes and tests. After the quiz or test, students staple the flashcards together and attach them with tape to a sheet of colored card stock. This will help them keep track of all their flashcards for midterm, final exam review. 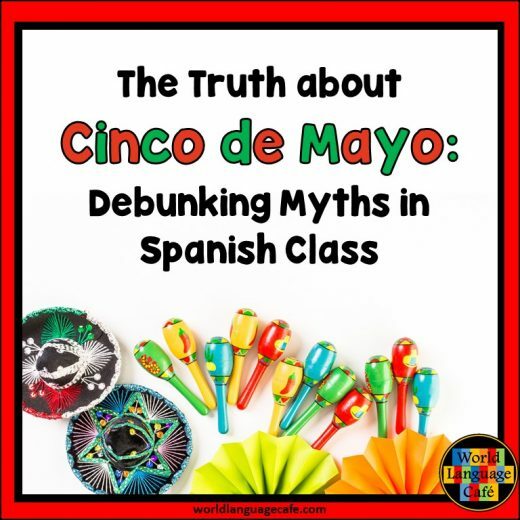 Whenever they need to study, they pull off the packet, take out the staple, study, and then put them back for the future. * Become familiar with tricky grammar structures such as: verbs like gustar, the impersonal “a”, question words, etc. 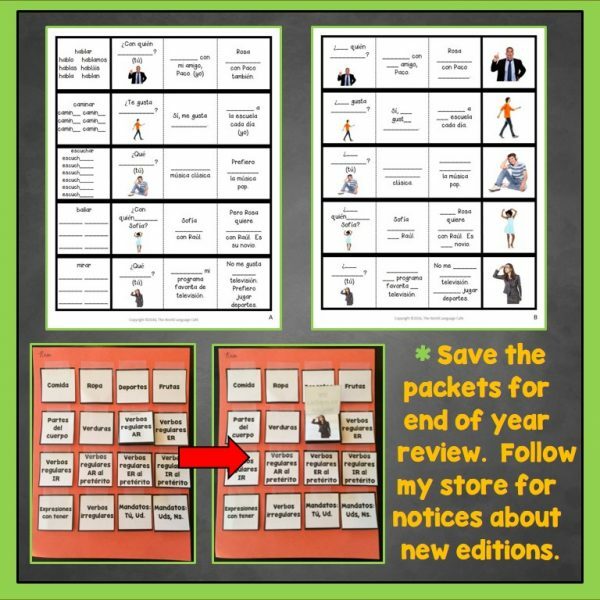 These are great as sub plans or as review for midterms or final exams and also work well in conjunction with interactive notebooks. 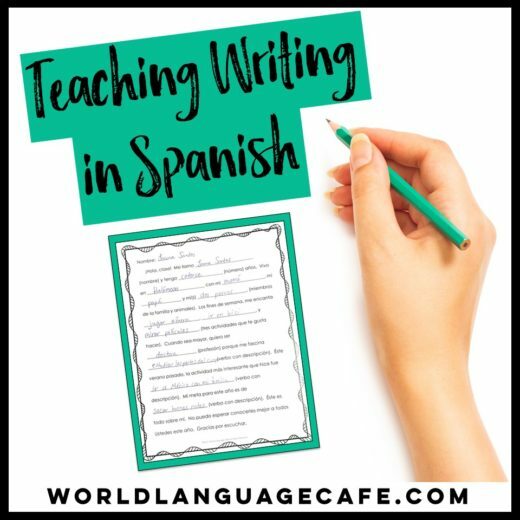 Try free samples for Spanish AR verbs, Spanish Fruits or French Question Words in my Free Resource Library. After you sign up, check your email for the password and access link. Here are links to all the current editions. Remember to sign up below to get access to your free sets. Hope you have fun in your classroom with these!